Atomhawk worked with Unity to help reboot their 3D Game Kit with a re-imagined style, creating visual target images and designing unique vegetation and a space craft for the game's key character. The Game Kit provides artists and designers with a collection of elements, tools and systems to help them hook up gameplay without the need to write any code. The visual target environments explore the stylised aesthetic of the game, focusing on the crumbling ancient civilisations and opulent overgrown vegetation of the alien planet. The unique plant ecosystem is a key characteristic of the planet. We created concepts for a range of fungus, lichen and strange succulents, highlighting the textures and consistency of these most unusual organisms. 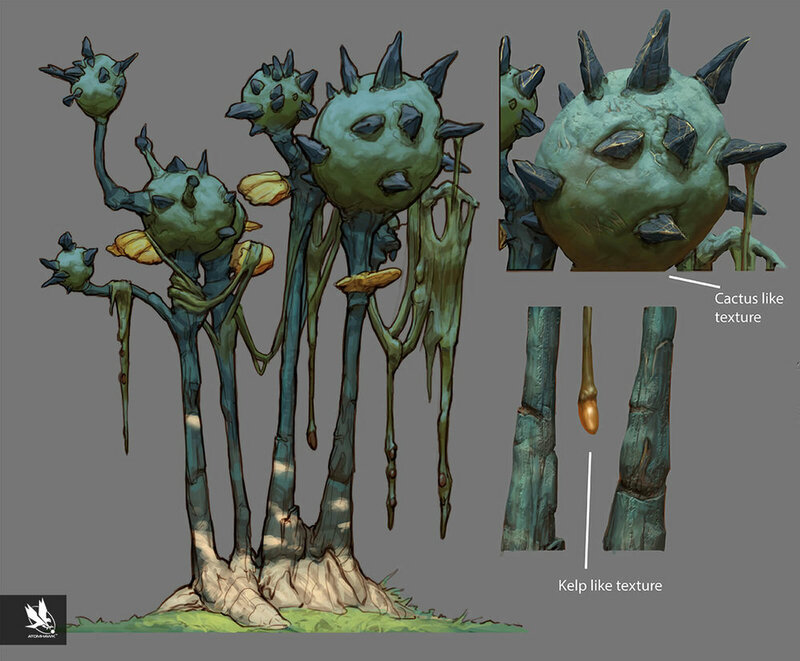 The highlight of the project for me was designing the “delicious” looking cheese-like trees! 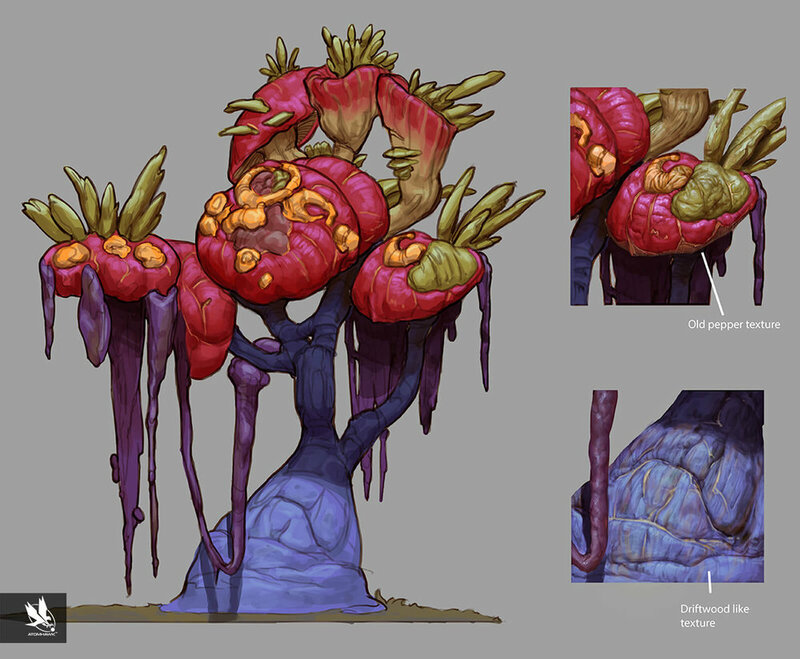 Exploring the different textures for the rich, succulent vegetation provided a lot of scope for the imagination and led to some strange and interesting creations”. The dropship transports heroine, Lt. Ellen Hooper, around the game’s universe and features in the cut-scenes which provide intros and outros to the game’s levels. To help communicate the workings of his designs for the drop ship, artist Matthias Kapuvari chose to produce a series of short animations demonstrating how elements such as the wings, engines and hatch would work. The orthographics detailing the spaceship’s design from three key angles provided Unity with all the necessary assets to bring the dropship to life in 3D for use in the game. You can find out more about Unity and the 3D Game Kit here.